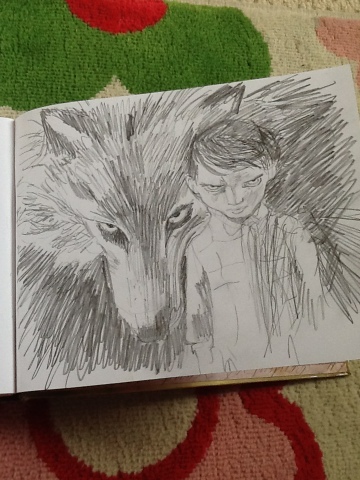 This is just my "fan art " copy of the beautiful poster from the stop motion short Peter and the Wolf that won loads of awards a few years back. I love the intensity they achieved in the puppets eyes. Me again! Been neglecting the Micks blog so much lately that I figured I'd post twice in the same day. 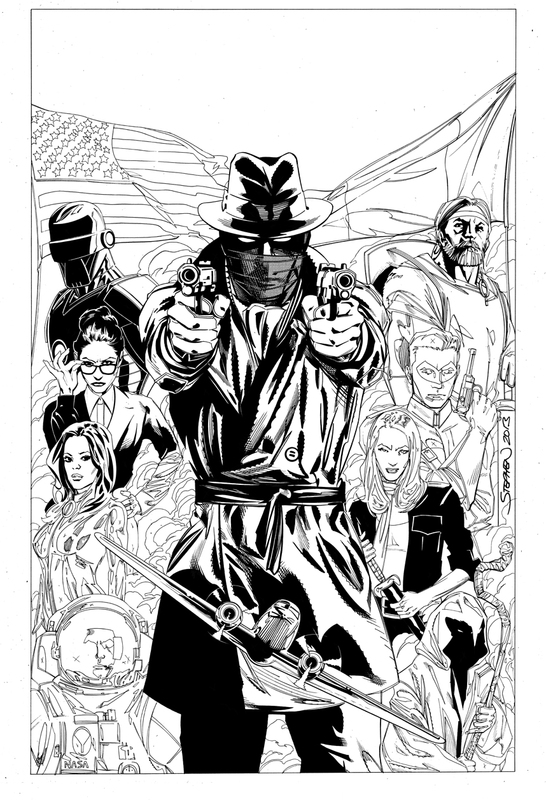 I've been working on this bad boy for two days now, and it's still not bloody finished. 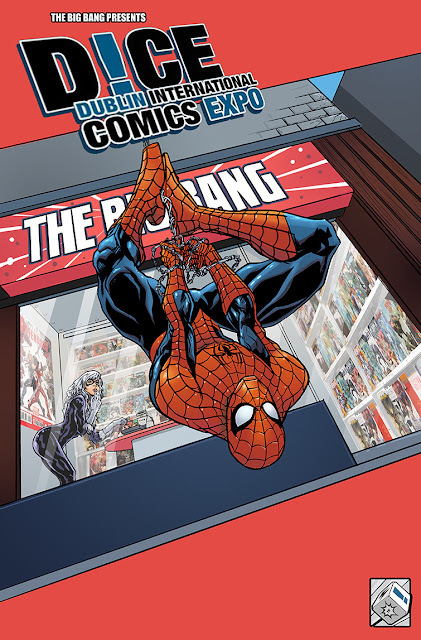 Probably because it has almost all of the Atomic Diner characters ever ('cept the Freakshow crowd...sniff) on there. Composition for this thing was tricky. 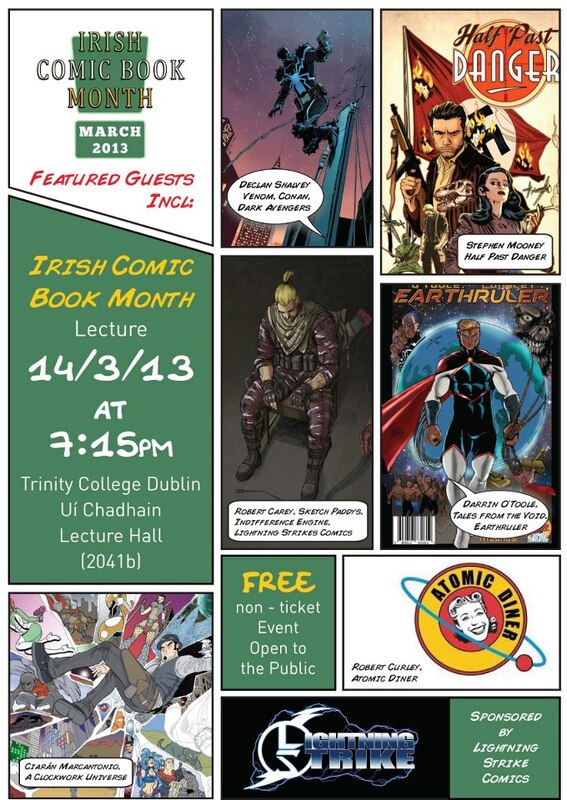 This March is Irish Comic Book Month, and as part of this event two Irish comic book publishers, Lightning Strike and Atomic Diner are hosting a talk discussing Irish Comic Book production in Trinity College Dublin. I've been invited to participate in the lecture, and am delighted to do so, since both my mother and my wife have/are attended this prestigious seat of learning. 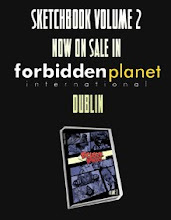 Guests include myself(Mooney), Declan Shalvey, Robert Curley, Darrin O'Toole, Robert Carey and Ciarán Marcantonio, so a wide spectrum of Irish comics are covered; from those working in mainstream comics, to creator owned comics, to self-published comics and so on. 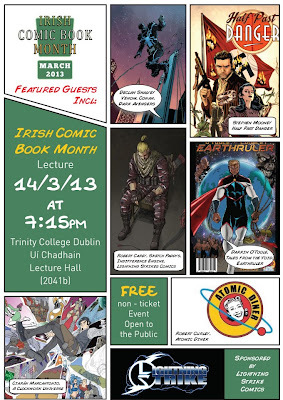 The Lecture will be hosted in the Trinity Arts Building, Room 2041B at 7.15pm, and is free for all to attend.